For over 60 years (celebrating its 60th anniversary in 2016), McKeil has been providing marine transportation and project services for bulk and project shipments throughout the Great Lakes, St. Lawrence River, East Coast and Arctic. It recently moved its head office to Burlington from Hamilton and has sales offices in Montreal, Rothesay, NB, and St. John’s, Newfoundland and Labrador. Most of the company’s growth comes from long-term contracts with existing clients in what Mr. Fletcher calls a cyclical business. For example, McKeil completed a project last year after 3 1/2 years of providing construction support for the Hebron oilfield Project Gravity Based Structure in Bull Arm, NL. It is currently completing an assignment using two barges to move workers and construction material for 27 Siemens turbines being built on Amherst Island off Kingston which are expected to produce 75 megawatts of generating capacity. The steel and aluminum business is doing well, except for the uncertainty of potential U.S. tariffs which could leave producers exposed to a sudden change in U.S. trade policy. 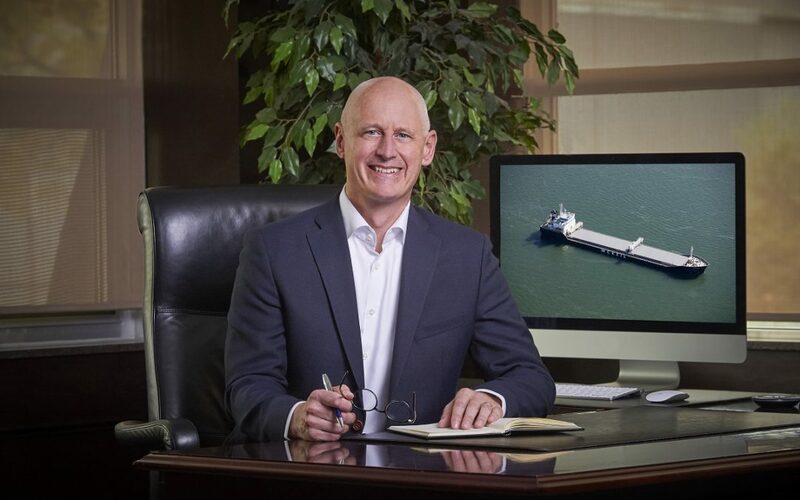 “There’s a great deal of iron ore being exported to China which is attractive for Algoma and CSL, and which allows us to pick up marginal business that is not cost effective for them,” said Mr. Fletcher. With the acquisition of Ardita, the company now operates four bulk carriers, 22 tugs and 30 barges. It is not necessarily the company’s intention to acquire more vessels. It will probably add more tugs and barges before another bulk carrier. Most of McKeil’s business is short-sea operations where it will usually transport cargo to a rail depot to continue the journey. A major client continues to be Aluminerie Alouette of Sept-Îles for whom McKeil transports aluminum to Oswego, NY, Toledo and Detroit.